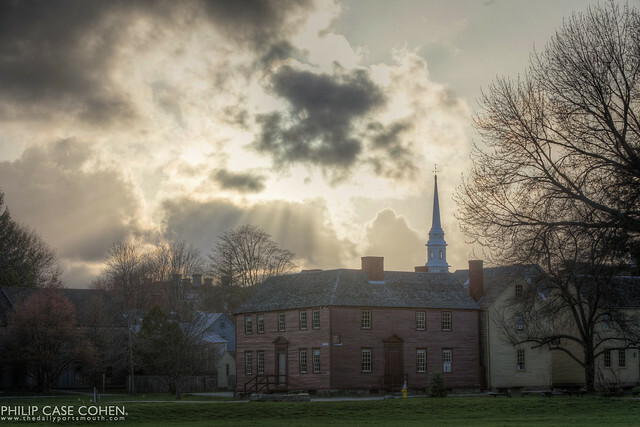 It was a gorgeous afternoon at Strawbery Banke as the sunlight crept out from behind the cloud. 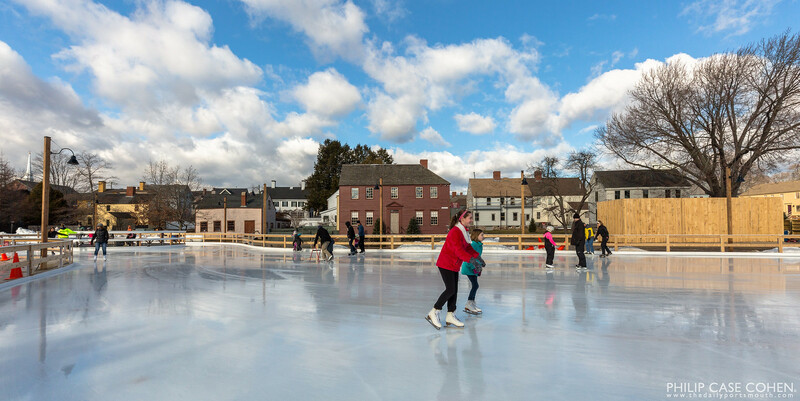 One of Portsmouth’s historic gems – Strawbery Banke – is the old Puddle Dock neighborhood across the street from Prescott Park. 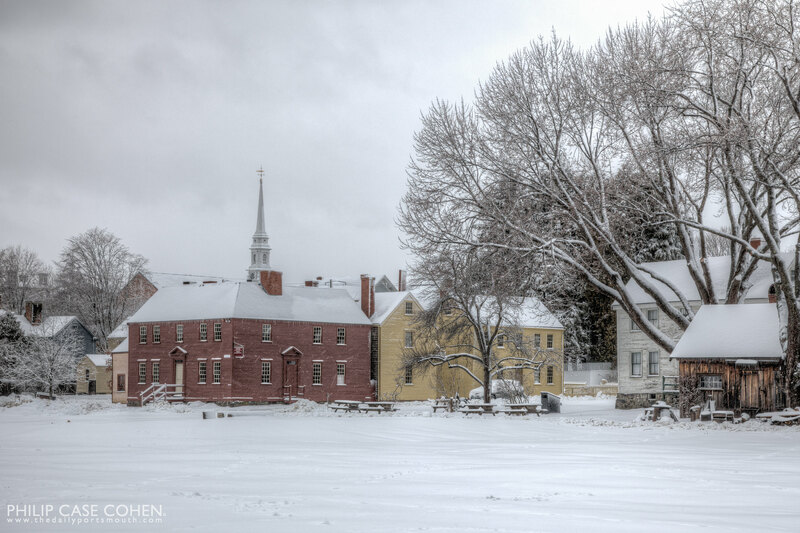 Strawbery Banke is one of the places you can visit in Portsmouth and be brought back in time. 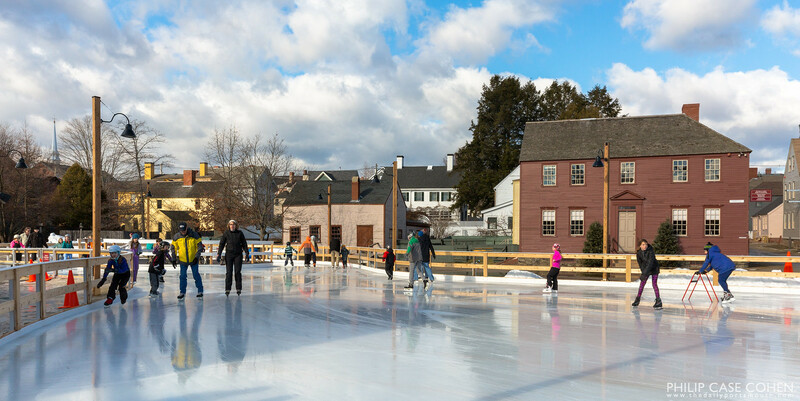 The interiors of the structures provide the look and feel of life decades and even centuries ago. 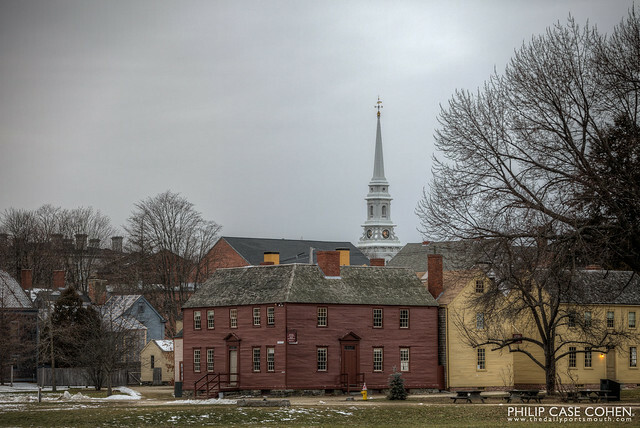 At just the right vantage point in the museum’s field, you can see nearly the entire top half of the North Church steeple framed perfectly by the buildings in the foreground. 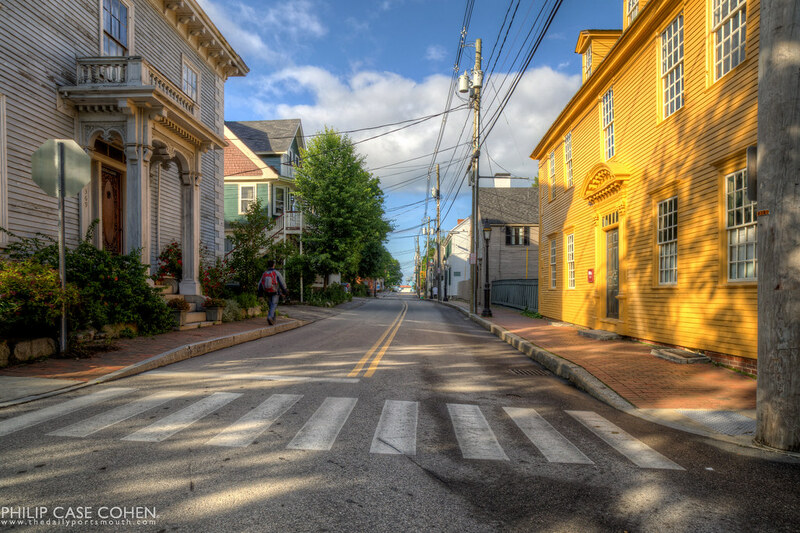 Portsmouth’s historic district is full of beautiful buildings and brick sidewalks. 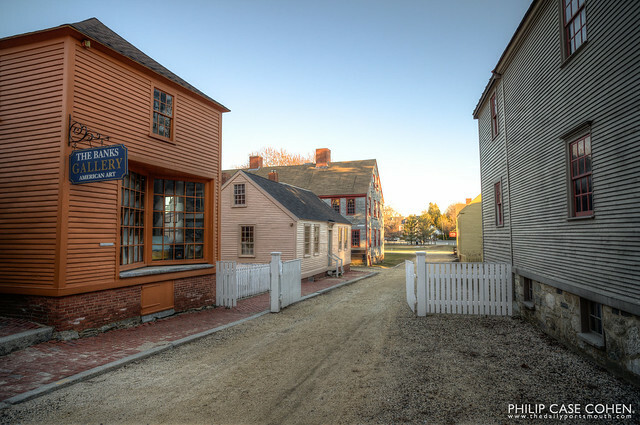 The yellow house on the right belongs to Strawbery Banke and has been repainted recently, bringing the exterior of the building to a nice crisp appearance at the corner of Court Street and Washington Street.